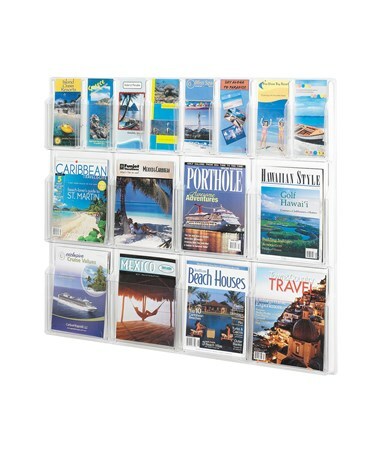 With a simple look, the Safco Reveal Magazine and Pamphlet Display gives a minimalistic approach to organizing and displaying literature. 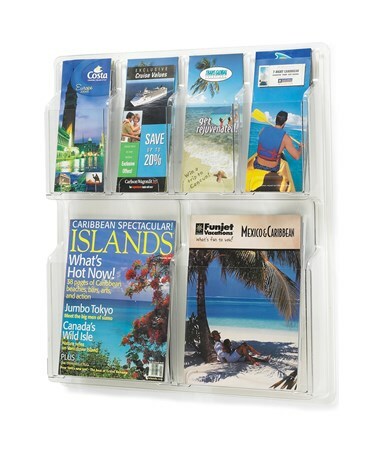 It features a lightweight and clear body that allows visibility to the displayed contents. It has a combination of two pocket sizes that are 9 ¼ inches wide that fit magazines and 4 ¼ inches wide which fit pamphlets. 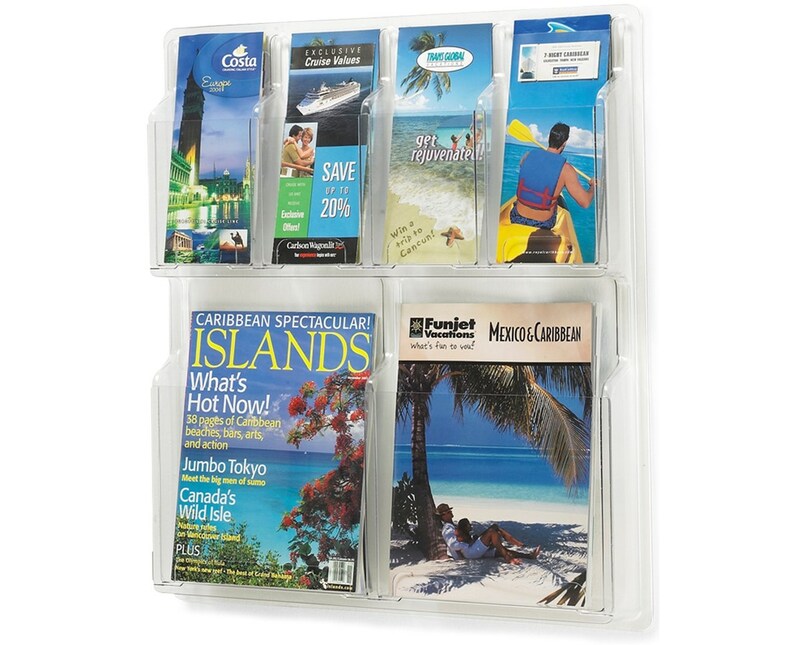 These pockets can hold up to 1 ¾-inch of printed materials. 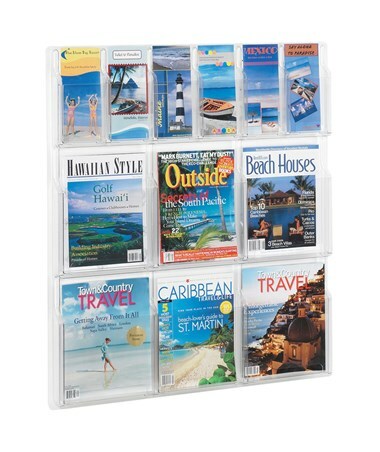 Also included are mounting hardware to make the mounting of the unit on walls easy and convenient. 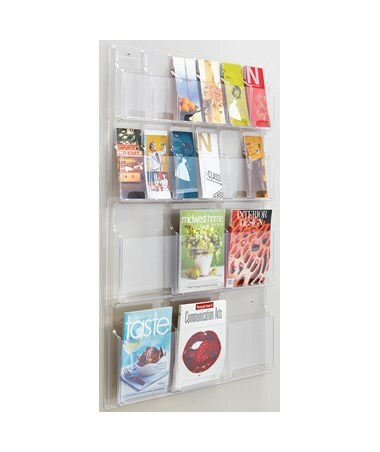 This literature display is made of 2.25mm thick Polyethylene Terepthalate Glycol (PETG) plastic and is thermoformed, which means it is in one piece and has no sharp edges. It is also safe for indoor use as certified by GREENGUARD. 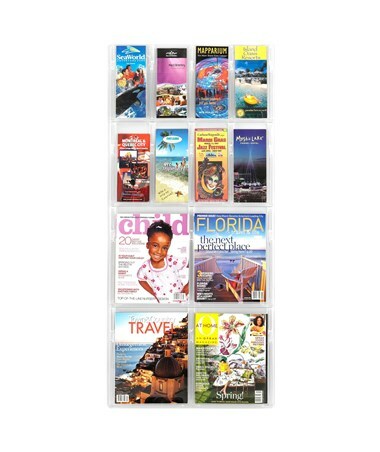 The Safco Reveal Magazine and Pamphlet Display is available in a different number of pockets. Please select your preference from the drop-down menu above.